UNLOCK YOUR ROOF'S POTENTIAL Eingestellt über www.PDF-ins-Internet.de - Haftung für Inhalt und Inhaber aller Rechte ist der Puplisher Kontaktdaten und Anbieterkennung des Puplishers/Autors entnehmen Sie bitte dem PDF-Archives auf www.PDF-ins-Internet.de. 2 Unlock your roof's potential PV SOLAR ARRAY: A GREEN AND AND HASSLE-FREE ROOFTOP TENANT BENEFIT FINANCIALLY WHILE HELPING TO PROTECT THE ENVIRONMENT The sun is nature's power plant. Enough solar energy strikes the earth every hour to provide a full year's worth of the world's global electricity needs. In the past, the cost of collecting this energy was prohibitive and the benefit took many years to break even. However, with the cost of solar modules dropping year by year, more individuals and businesses are recognising the opportunity of going green. We at ENVIRIA plan, build, and operate PV Solar Array systems for private and institutional investors by leasing municipal and commercial rooftops. By partnering with ENVIRIA, not only will you receive all the positive PR exposure from demonstrating your commitment to reducing CO? emissions (1 sqm of PV solar panels will produce annual savings of 70 - 105kg of CO? ), but also reduce your company's reliance on non-renewable environmentally damaging resources and create a new revenue stream. You even have the opportunity to purchase the electricity your roof produces at prices well below retail rates. 20 YEAR ADVANCE PAYMENT AVAILABLE! Eingestellt über www.PDF-ins-Internet.de - Haftung für Inhalt und Inhaber aller Rechte ist der Puplisher Kontaktdaten und Anbieterkennung des Puplishers/Autors entnehmen Sie bitte dem PDF-Archives auf www.PDF-ins-Internet.de. A RESPONSIBLE RETURN WITH NO INVESTMENT Rental income from rooftop tenancy ENVIRIA is a tenant, plain and simple. We lease unused rooftop space with a generous compensation plan, tailored to the owner's needs. The leases typically last for 20 years, with the opportunity to receive the full value up front, ahead of construction. Alternative options include access to generated electricity well below retail rates. Be an environmental champion and increase your brand value Rooftop solar sends a powerful message about your company's commitment to being a responsible corporate citizen, locally and globally. A reputation and brand image of proactive environmental consciousness can be a major differentiator in any market. Single Counterparty Although our investors become asset owners, ENVIRIA guarantee the lease payments as operators and are your sole direct counterparties.Extend the life of your roofRooftop solar arrays allow for unimpeded drainage and air circulation. They do not generate noise or cause any interference with business operations. A solar array installed on the roof does not in any way compromise the integrity of the roof. Indeed, it acts as a weather protection and actively shields the roof from harmful UV and thus increases the longevity of the roofing and furthermore reduces future outlays required for roof renovations. Comprehensive coverage: operator liability and insurance All installations operated by us will be comprehensively insured. Private Power Purchase Agreement (PPA) By leasing your rooftop to ENVIRIA you have the opportunity to purchase a portion of the electricity your roof produces at prices well below retail rates by signing a private power purchase agreement (PPA) with us. This stipulates how much you intend to consume and at what price. We guarantee the price to be significantly lower than retail rates resulting in significant savings for you and your business. 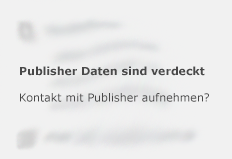 Eingestellt über www.PDF-ins-Internet.de - Haftung für Inhalt und Inhaber aller Rechte ist der Puplisher Kontaktdaten und Anbieterkennung des Puplishers/Autors entnehmen Sie bitte dem PDF-Archives auf www.PDF-ins-Internet.de. 4 Unlock your roof's potential Is a minimum roof size required? We are looking for roof space with at least 250 sqm of unshaded area. Are there preferred locations? Having completed over 1,000 projects all across Europe we are now looking for additional international projects. In conjunction with our rapid expansion in Australia, we continue to search for other global locations with strong Feed in Tariff programs. What type of roofs are most suitable? The roof is the most common place to install a solar array. It provides convenient access for maintenance while not a?ecting everyday business operations. Naturally, some roofs are better suited for solar than others. These »better" roofs are either flat or have a north-facing slope. This allows the panels to maximize the amount of sunlight they absorb each day. Additionally, fewer obstacles on the roof mean more solar panels can be installed. Another factor to consider when choosing a well-suited roof is the roof area. Larger roofs are ideal because they provide scale benefits. Are there any advantages or disadvantages with regards to sloping and flat roofs? A sloping roof ensures greater utilisation by eliminating the need for upright supports. Flat roofs on the other hand allow fixing to the roof without the need to penetrate the roof. FREQUENTLY ASKED QUESTIONS WILL MY ROOF QUALIFY? Eingestellt über www.PDF-ins-Internet.de - Haftung für Inhalt und Inhaber aller Rechte ist der Puplisher Kontaktdaten und Anbieterkennung des Puplishers/Autors entnehmen Sie bitte dem PDF-Archives auf www.PDF-ins-Internet.de. Unlock your roof's potential 5 DESIGN & ENGINEERING QUALITY 1. Müllheim 630 kWp5. Müllheim 630 kWp 2. Freiburg 470 kWp6. Glottertal 300 kWp 3. Schwerborn 750 kWp7. Freiburg 750 kWp 4. Erfurt 500 kWp A SAMPLE OF OUR CURRENT PROJECTS 23 Eingestellt über www.PDF-ins-Internet.de - Haftung für Inhalt und Inhaber aller Rechte ist der Puplisher Kontaktdaten und Anbieterkennung des Puplishers/Autors entnehmen Sie bitte dem PDF-Archives auf www.PDF-ins-Internet.de. 6 Unlock your roof's potential TAILORING THE LEASE TO SUIT YOUR NEEDS When you lease your roof to ENVIRIA, we assume all the risk of owning the solar array. You will receive a lease value for the space allocated from your roof in addition to other benefits that can be negotiated as per your needs. This is all you need to be concerned with. ENVIRIA handles everything from financing to installation and maintenance of the array. This creates a risk-free way for you to earn some extra money from an unused part of your building. We can tailor the structure of the lease to your needs. The following options are just a selection of the available possibilities: ? L ease all, or a portion of the available rooftop space  S hare in the annual yield of the solar arrays  A llocation of a portion of the green electricity generated either free or at reduced rates  O ne-time upfront payment (covering the discounted lease amount of the entire term) In order to protect our investment and to ensure the lease is executed the following clauses are required: ? R ight of access to ensure we can maintain the roof as necessary  Easement condition on land/property title to ensure the modules remain in place for the term of the lease, regardless of whether the property is sold or subject to receivership Eingestellt über www.PDF-ins-Internet.de - Haftung für Inhalt und Inhaber aller Rechte ist der Puplisher Kontaktdaten und Anbieterkennung des Puplishers/Autors entnehmen Sie bitte dem PDF-Archives auf www.PDF-ins-Internet.de. Unlock your roof's potential 7 OUR 360° APPROACH THE COMPANY ENVIRIA was established in 2017 through the merger of MeinSolarKonzept and Clen Solar. Both companies were already well established solar companies operating in Germany, having completed in excess of 1,000 projects.We have selected Australia as our first country for international expansion. ENVIRIA combines the residential business and EPC (Engineering, Procurement and Construction) services of Clen Solar, with the institutional business and financing capability of MeinSolarKonzept. As a young, dynamic and flexible company in the solar industry, our expertise includes not only technical know-how but also extensive experience in financial structuring, regulation, governance and tax. ENVIRIA ENERGY HOLDING GMBH ENVIRIA Investor Solutions GmbH Structuring, contracts, marketing, sales and services for institutional customersENVIRIA Asia Ltd Structuring, contracts, services for international customers ENVIRIA Engineering & Services GmbH Project planning, turnkey construction, roof renovation, maintenance and cleaning ENVIRIA Retail Solutions GmbH Marketing, distribution and services for residential customersENVIRIA Energy Australia Pty Ltd Marketing, sales, project planning, turnkey construction, maintanance, cleaning The Green Energy Revolution We believe in transitioning from a reliance on natural resources to renewable energy. We also welcome the move away from a subsidy-driven market to one where the players must innovate and operate efficiently in order to compete. Our mission is to become a leading renewable energy utility firm, with operations around the world, advancing our vision of a world where environmentally friendly and renewable energy sources are all that we use for powering life. Eingestellt über www.PDF-ins-Internet.de - Haftung für Inhalt und Inhaber aller Rechte ist der Puplisher Kontaktdaten und Anbieterkennung des Puplishers/Autors entnehmen Sie bitte dem PDF-Archives auf www.PDF-ins-Internet.de. Enviria Energy Australia Pty Ltd Enviria Asia Ltd Mark Cooper Head of Business Development Australia +61 469 043 863 mark@enviria.energy www.enviria.energy MEMBER OF Eingestellt über www.PDF-ins-Internet.de - Haftung für Inhalt und Inhaber aller Rechte ist der Puplisher Kontaktdaten und Anbieterkennung des Puplishers/Autors entnehmen Sie bitte dem PDF-Archives auf www.PDF-ins-Internet.de.